Did anyone really think the competition wouldn’t arrive at some point? Since 2013, Tesla has dominated the market and headlines for all-electric vehicles. That’s about to end. 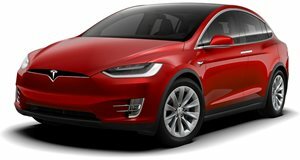 Tesla’s rivals spent these in-between years wisely by studying the Model S and Model X as well as the EV market as a whole. With that homework nearing completion, brands including Audi, BMW, Mercedes-Benz, Jaguar, and Porsche are unleashing all-electric vehicles of their own. Although EV sales currently make up only a small percentage of new vehicle sales in the US, eventually that will change and automakers know they need to be prepared. As is typically the case when it comes to new technologies, luxury cars will be the first to benefit. Sure, there are affordable EVs on sale right now, specifically the Chevrolet Bolt and Nissan Leaf, but those aforementioned premium brands will surely take EV tech to another level. In their eyes, they need to defeat Tesla. We compiled a list of all of the current and upcoming luxury EVs that will play big roles in the EV revolution that will have ramifications across the industry. The e-tron crossover is a Q5-sized crossover packed full of cool technologies with a range of around 248 miles on a single charge. Total output will be around 402 hp. We also know Audi is working on the, due in 2020. 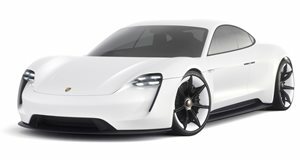 It will be a four-door coupe that’ll take on the Tesla Model S and the also upcoming Porsche Taycan. BMW’s i division hasn’t turned out exactly as the company initially planned. The and i8 are great cars, but both have been overshadowed, in many aspects, by the rise of Tesla. As BMW debates the i8’s future, chances are the i3 will be dropped entirely, replaced by something more suited to the times. Come 2020, BMW will launch a new all-electric model based on the current X3 crossover, . And that’s just the beginning. BMW is committed to launching 12 all-electric vehicles by 2025. One of those we just recently caught testing in spy images: an . We also just caught the 2019 all-electric Mini testing. Come 2021, BMW will debut its . 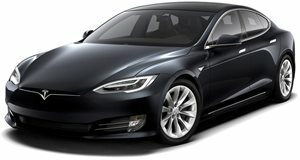 Billed as a Tesla rival, it’s said to have a range of over 370 miles and a 0-62 mph time of four seconds. Not to be outdone by its German luxury rivals,. The first example of this will be the . Think of it as a fully electrified S-Class, only far more advanced and built on a new modular platform that’ll underpin future EVs as well. Unlike Audi and BMW, it appears that Mercedes wants its first EV-only model to be a four-door coupe instead of a crossover. The entire Mercedes EQ EV range will be in full force in only a few years from now, and will very likely include a production version of the . For a time, luxury car buyers interested in something new and trendy were attracted to the Porsche Panamera. But after Panamera buyers began switching to a Model S for the same reasons, Porsche was quick to understand the threat Tesla posed. The German carmaker quickly got to work and we were soon introduced to the Mission E Concept, which heavily previewed a production version. That car will when it debuts for the 2020 model year. Rumor also has it that an electric version of the hot-selling Macan is also in the works. The Taycan will also likely be spun off into at least one variant, a . Eventually, there’ll be a fully-electric 911 but not before a hybrid and/or plug-in hybrid version launches. When we sat down with Jaguar last fall at the Frankfurt Motor Show, a project manager engineer during initial planning stages. The goal was simply to build the best EV possible. As the design and engineering teams dug in, the realization came that a crossover EV would be most suitable for the times. It was a big bet that appears to be paying off. The and, to date, is the only direct rival to the Tesla Model X. And like the Model X, the I-Pace isn’t cheap. . 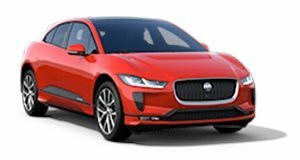 In typical Jaguar form, the I-Pace is a stunning vehicle inside and out, making it worthy of that hefty price tag. Its platform is also flexible to accommodate additional future EVs, but Jaguar has been mum on details. Chances are, the XJ sedan’s successor will be an EV, conveniently enough a Model S rival. Tesla has undoubtedly shifted an industry. Here is that industry’s reply.